Annelisa Christensen was born in Sussex, took a psychology degree at the University of Stirling in Scotland, then returned to the south to partner in a fashion design company with her childhood friend, Julia. They had fun selling to shops and in street markets all over London, but dissolved the business when children came along, both believing in putting their families first. 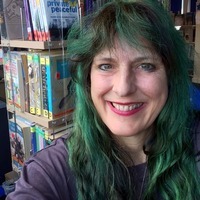 Delighted to be offered the job of laboratory technician in the local secondary school, in which she had herself been Head Girl twenty years earlier, Annelisa simultaneously wrote a magical realism series (as yet unpublished). 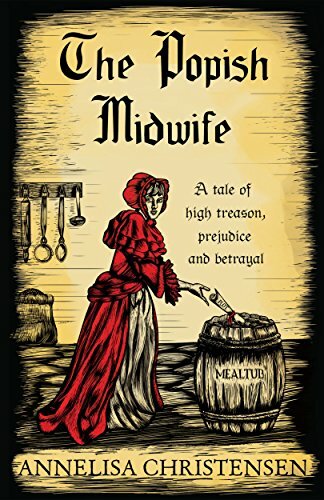 She wrote The Popish Midwife after falling in love with Elizabeth Cellier in some 300-year-old loose pages of a trial she bought on the internet. The more she discovered about Elizabeth Cellier, the more Annelisa wanted to share this amazing woman’s story. The Popish Midwife is the result of years of research and writing. For more information, please visit Annelisa Christensen's website. You can also find her on Facebook, Twitter, and Goodreads. Sign up for her Newsletter.